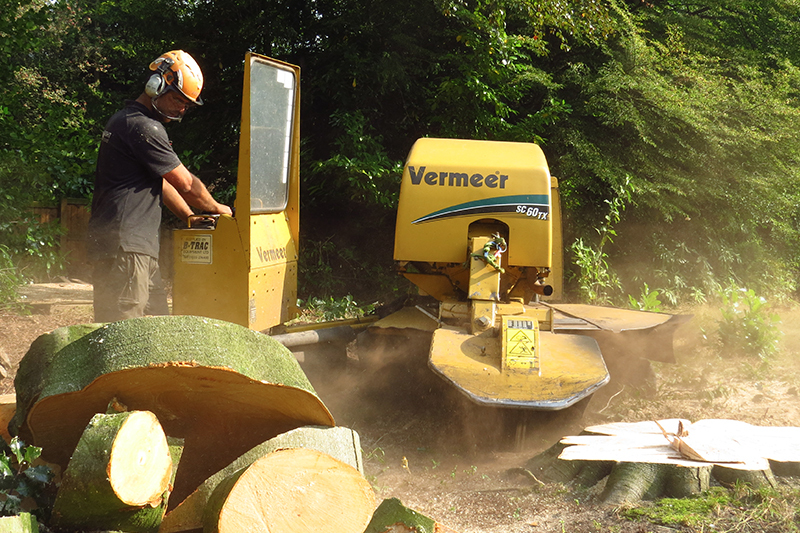 To receive a quick quote please measure the diameter of the stump. Mention its position in the landscape. Is it in open ground or is it in a corner adjacent to a fence? A photo sent by text is very helpful. 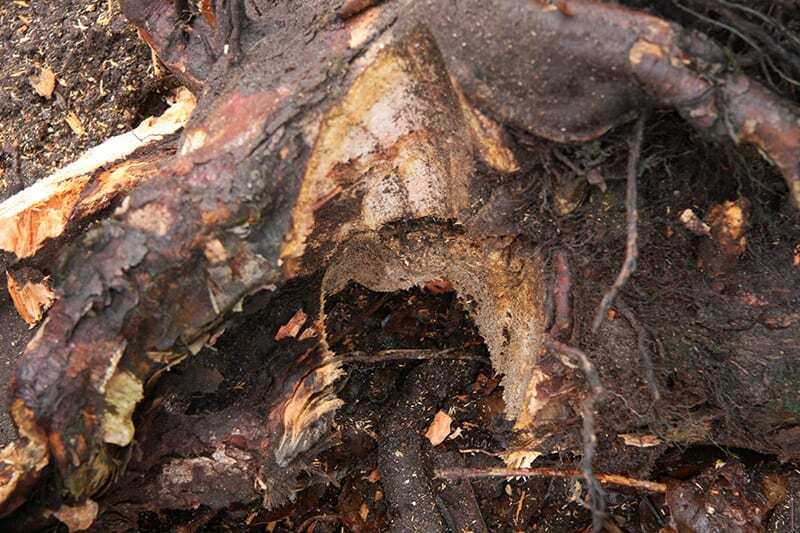 Finally, if possible let us know the tree species as hardwood and softwood stumps have different requirements. 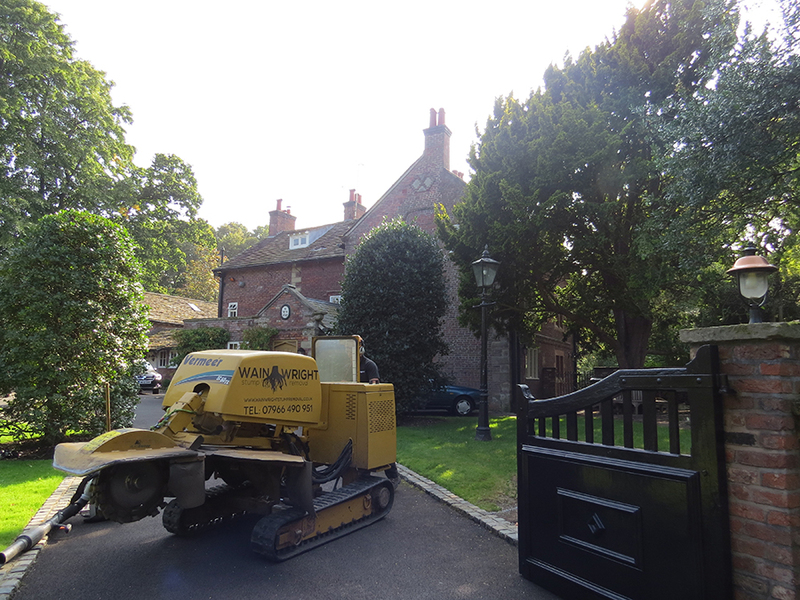 Once you have accepted the quote we will arrange a date and time and arrive with the appropriate machine. 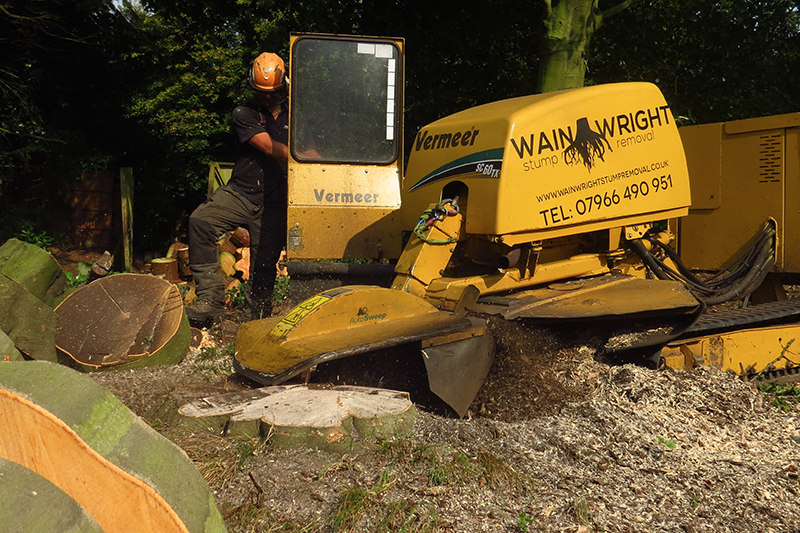 All operators are fully insured and have the NPTC Level 2 Certificate of Competence in Stump Grinding Operations and other relevant qualifications. Once on site we will place guards to ensure that the grindings don’t spread any further than they need to. 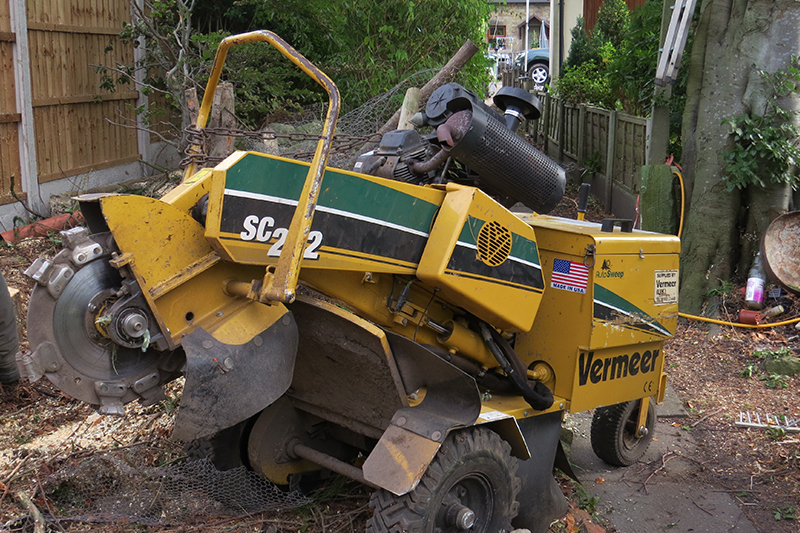 The grinders will remove the stump to a maximum of 600mm below ground level. Some of the grindings are used to backfill any holes. 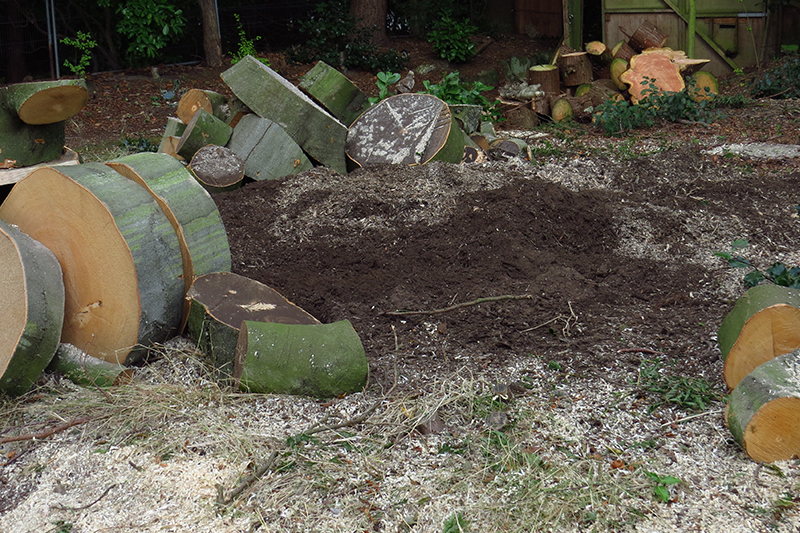 The remaining grindings will be left and can be used as a mulch. If you wish us to remove them please inform us and this can be arranged, though this will incur an additional charge. 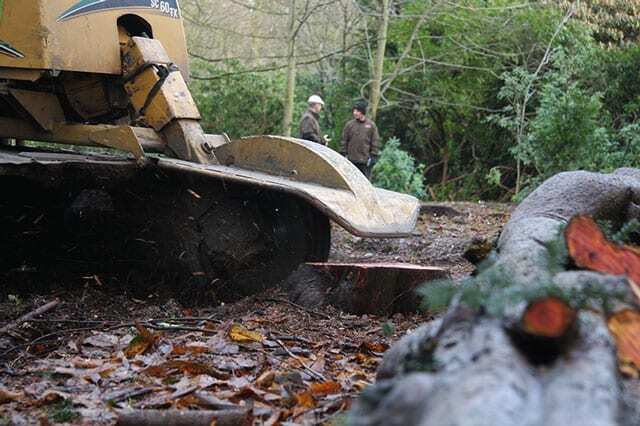 Once the stump has been removed re-landscaping can take place and the site can be replanted or hard landscaped to suit the customers requirements. Please note that different tree stumps can produce varying amounts of grindings, it depends on the species and condition of the tree. 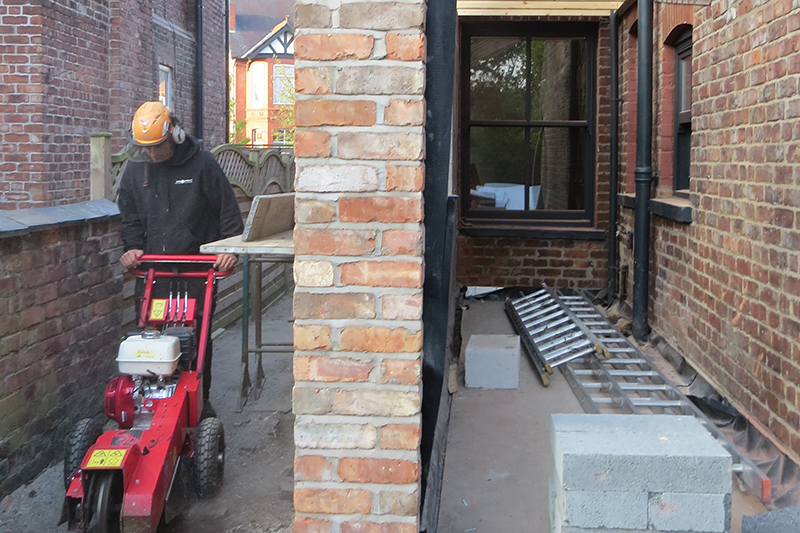 Measure the access to the site at its narrowest point! Get in touch today. We look forward to hearing from you and will be happy to provide you with a free no obligation quote.